In the summertime, there’s nothing I love more than a refreshing fresh fruit salad, heaped with all my favorites and topped with a dollop of plain yogurt. Absolute heaven! And adding blueberries – one of the most popular fruits in North America – is more than just a deliciously sweet indulgence, because they can also help you increase your bone density. Published in the prestigious Journal of Bone and Mineral Research, the researchers postulate that the polyphenol content in blueberries is most likely responsible for the increased bone strength shown in laboratory study rats. This study further confirms what the Osteoporosis Reversal Program has been saying all along: that the answer to osteoporosis is in nature, not in synthetic chemicals. 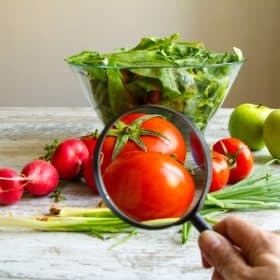 The mere fact that researchers are seeking answers from natural foods is a move in the right direction and an encouraging sign. After all, they could have spent their time and resources searching for yet another ‘miracle pill’ or injection to ‘cure’ osteoporosis. Instead, they’ve chosen to take their blinders off and look for bone health answers in natural foods. Mainstream science seems to be moving in the right direction. Yes, they are. But here’s one of the best features of the Osteoporosis Reversal Program: it lets you enjoy all your favorite foods in the right balance; you don’t have to completely eliminate acidifying foods. You see, a plethora of acidifying foods are loaded with nutrients that are important for bone health, and blueberries are the perfect example. 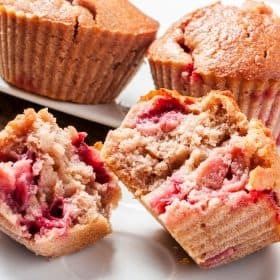 So if you mix them with your favorite alkalizing fruits, you’ll end up with a healthy and delicious 80/20 meal or snack. And of course, if you are allergic to blueberries or even if you just don’t like them, you don’t have to include them in your diet. This is true for any individual food I write about. No one food is responsible for bone health, and there’s such a wide variety of bone healthy foods that you don’t have to worry about eating anything you don’t like or have issues with. Blueberries make it onto the Foundation Foods list for their Vitamin C content, a crucial antioxidant for collagen production and several other vital cellular tasks. They’re also a good source of manganese, a Foundation Supplement. Manganese is a trace mineral necessary for the synthesis of connective tissue in cartilage and bone. It’s involved in protein synthesis and fatty acid metabolism, blood clotting, and in many enzyme systems. It also plays a significant role in the formation of thyroxine, the main hormone of the thyroid gland. And Blueberries Do So Much More! Health is a continuum, and we shouldn’t look at bone health in a vacuum. That’s why I make a point to also guide you on the nutritional benefits provided by foods and supplements beyond their bone health benefits. In that regard, blueberries are nutritional superstars. Not only do they have a healthy helping of beneficial fiber, current research is looking into blueberries’ effect on memory and age-related cognitive issues. And thanks to their relatively low glycemic index numbers, blueberries have a normalizing impact on blood sugar, which can be quite significant for those with diabetes. 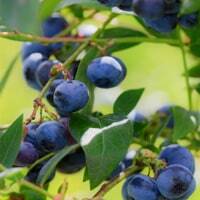 Plus the antioxidants in blueberries have also been found to provide protection for the digestive tract. If possible, use organic blueberries. In addition to reducing the amount of pesticides you ingest, organically grown blueberries have significantly higher levels of total antioxidants than conventionally grown blueberries. Most fresh blueberries are sold in ready-packed boxes. To make sure you’re getting the freshest berries, look for a uniform blue color. Shake the container gently to see if the berries move freely in the box. If they don’t, that could mean that the berries are moldy or otherwise damaged. If they’re in a clear container, be sure to turn the container over and inspect the berries on the bottom – often, the moldier berries end up there. For a refreshing fruit salad, toss blueberries with cubed cantaloupe, bananas, and peaches. Of course, that’s just one idea – I invite you to experiment with fruit combinations to come up with your absolute favorites. As is the case with most fruits, raw blueberries are best. When they are cooked, many of the nutrients are greatly reduced. Frozen blueberries are fine! It’s good to know that freezing doesn’t diminish the level of antioxidants in blueberries. Studies have shown that blueberries could be frozen at 0 degrees F (-17 degrees C) for three to six months without any significant reduction in antioxidant power. Enjoy, and feel free to get creative! Can you get the book in hard copy instead of digital? Squeeze the juice of an orange for dressing. DELICIOUS and very appetizing! Hi Vivian,when I go to the computer I look forward to your messages. I think we all feel like we have a special friend helping us. I like your food list and the exercises and follow both. It somehow feels better to do that than consider drugs which scare me half to death. I just came back from a trip to Italy with my daughter and while in Rome I climbed 114 steps,thee levels at one time in museums all day and I’m 78. I felt good about that. Thanks Vivian for your help. nitrates, nitrites, sorbitol, aspertame, small amts. of antibiotics in meat, milk & who knows how many other food items???). Thanks for all you do to help us!!!!! They said had disc bulge, arthritis, was depressed, high anxiety. Took actional from 2004 till 2007 which then became sloppy with it. In 2008 was told 15 0/0 more chance of fracture, I fell a couple of times in June of 2009, my hip did not get fixed till may 2010 by then my leg was 3″ off, now 5/8. The hip still hurts and right knee, around tail bone area, and shoulders. I wear a Empi Tens for pain, when gets so bad take gel aleve. I was very bad anorexia would exercise five days a week, hardly eat. Since had problems with bowels was bad at taking my calcium and d. At one point I had just the opposite would not make it to the bathroom, then body changed. I eat straw berries, cantaloupe, honey dew, blue berries, cherries. I eat two pint size a day of fruit. They say if do not do the once a day fore to shorts will end up wheel chair. Or at least do once a year reclasp. I did the shots in 2010 14 out of 56 but did not do any more. Because of side effects, bone cancer, jaw issues, depression. I have one ovary which quit working. On hormone patch was years ago on premiun at a lost what to do. My niece going to do the iv reclasp she is bad too. Don’t concern yourself with whether to eat or not eat a food. God said “I made all food good” God didn’t give us bad food!.. Only man has adulterated the food God gave to us to sustain the Magnificent Human Body! Remember in the Garden of Eden, they only had plants , nuts and seeds to eat. No meat was eaten until after the flood. Man has so altered the food God gave to us that it is hardly recognized as food and certainly doesn”t taste like it either. Man is still altering food and adding reproductive control, disease causing chemicals. Also altering them so that they won’t produce from seeds of the plant, thereby causing famines. Research it, it is there. We MUST take control and protect ourselves, our families and our neighbors EDUCATE YOURSELVES! If we could get the chemicals out of our foods and stop killing them by over processing, we could eliminate many health issues. First of all get the growth harmones out of foods and the obesity would be lessened if not eliminated!!!!! If everyone would stop purchasing these deadly chemical laden foods, perhaps they would listen.. I refuse to buy them or consume them. Buy all organic. NOT USDA organic for that means nothing!!! Buy Certified Organic by the Organic association. Support the Organic Farmers!!! Health is worth the difference in Cost. You exchange good food for doctor and drug costs!!! Put the drug companies out of business! Why are you now telling us to eat blueberries when you said they were acid producing previouslyu? Thanks for all your good advice and recipes. I just had a blood test done and my progesterone is very low (.5). My alternative doctor wants to put me on bioidentical progesterone. What do you think and are there any foods that will help increase my levels? I need your help. Hi Barbara,just watched a video on your problem go to yahoo put the name progesterone up then click on Definition from answers.com you will see the video a lady is explaining what she did regarding healing herself,hope this helps you. There is a very informative but very scary special report called “Fractured” in the July issue of Good Housekeeping. I’m so discouraged by all the conflicting info. Do eat blueberries, don’t eat blueberries, yogurt is acid, yogurt is alkaline. You’re kind of damned if you do and damned if you don’t. The fractures are complete ruptures or partial of the bones whose origin can be the osteoporosis, to fall, strong blows, and, sometimes, violent employ of to muscle. The sector with risk more elevated to undergo fractures is formed by the people who suffer the disease of the osteoporosis, although also get to be frequent in old children and because it’s bony composition is fragile. Findrxonline on your website indicates that treatment to control the pain of osteoporosis by its effectiveness are medications prescribed between the most common are vicodin and lortab hydrocodone. Although it is important that before taking these medicines should be consulted with the specialist because they have side effects which can harm the nervous system and the health of the patient. I stopped eating Blueberries because they were on the “No List”. In making pie, I mix a few blueberries with nectarines, or you can use peaches. Those two are both alkalizing and they mingle so well together. I try and cut out part of the sugar and sometimes add a little honey, but watch it doesn’t run over in the oven!!. It’s an improvement anyway. Everyone loves my tapioca instead of flour for thickening in this pie. Receipe on tapioca box…enjoy! Your recipe is wonderful and I love fruit; however, it is believed it can be problematic eating fruit; except lemons, grapefruit, limes and cantaloupe melons; see Dr. Young’s book the PH Miracle. That is so contrary to Vivian’s plan where she lists all kinds of so-called alkalizing fruits, and I’ve been eating tons of them. If fruits are problematic then we’re all in trouble. I’m sticking to the plan, but then again I wouldn’t mind trying that blueberry nectarine pie either. Thanks for the tip. I’ll try the honey in an apple pie for the 4th. I like the simple way to make Berry Bust Smoothie. choose our foods and balancing them. I fully agree with all your recommendations for good bone health. My question is, why don’t you publish success stories of women who have actually improved their bone density tests by following your program? The absence of this information/news is disconcerting. Are women actually improving their bone density scores by following your program? I second that Question Sue it would be nice to know as i have just started Vivians program hoping it works. Vivian, I get frustrated with this website because of the descrepancies between the “latest” information and what you have in your books. (as well as what is published in other alkaline diet books). Blueberries are listed as an acid in your books.. I would appreciate some direction on this. Beth, the Save Our Bones program is not about eliminating every acid forming food from your diet. That would be very difficult to accomplish & ludicrous to expect compliance. Instead, the program is about reaching an approximate 80/20 ratio of alkaline to acid forming foods in a person’s diet. There would be no reason to perform pH strip tests if the goal was simply eat only alkaline forming foods. The program is about educating ourselves about proper nutrition, identifying what is alkaline & what is acid forming & making dietary changes to help our bodies rebuild themselves. Those changes may mean eating healthy, nutrient/antioxidant dense blueberries instead of greasy potato chips as a snack or add-on to a meal. Also, even though alkaline foods are good for you, keep in mind the principle of moderation. Too much of anything, even a good thing, can become bad for you. Eating only alkaline forming foods to the exclusion of all other foods could prove potentially dangerous. If a person’s body becomes too alkaline, they can suffer from alkalosis which is the opposite of acidosis. Hence, the suggested 80/20 split. It’s not all that hard to understand when you understand the concept of balance. Read more, educate yourself, eat well. There’s such a wide variety of foods you can eat on the Osteoporosis Reversal Program (and no limit to the amount you can eat) that you can easily adjust for either weight loss or weight gain. 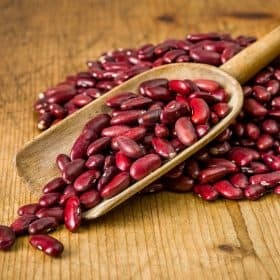 Try adding more complex carbs that pack calories, such as bananas, grapes, alkalizing beans, green peas, sweet potatoes, potatoes with peel, etc. And you can up the calories of the acidifying foods. For example, replacing chicken with beef. It can also help to have multiple snacks throughout the day. Thanks for asking this question Trudi. Most people laugh, but I have the same problem. Since I started the diet and increased my exercise, I have lost 10 pounds but I only weighed 98 to start (I am five feet tall), and now I need to gain some back. Thank you for the Smoothie recipe…Sounds yummy!! I plan on freezing more fruits this summer for in the winter time…I enjoy nibbling at raw blueberries during the day….As usual, your articles are great and I look forward to them… I share alot of you articles on my FB page.. If I can help one person, like you helped me, then I accomplished something good.. Your Article Was GREAT AS USUAL! And I LOVED YOUR RECIPE “BERRY BURST SMOOTHIE”! SOUNDS YUMMY! good for your entire body. Not only the bones. Your are saving our lives.